Sunset Cruise takes travel to the limit! Stylish design is fused with the latest technology to create a collection that is fashionable, lightweight, and fun. Four multi-directional airflow spinner wheels for easy mobility. Rolls upright so there is no weight on your arm or shoulder. Top carry-handles are integrated right into the case. Bold color interior lining for an exciting, fresh look. All cases expand 1.5" and fixed TSA 3 dial lock keeps belongings safe on the 24" & 28" only. At American Tourister, we believe travel should be fun. We take pride in making stylish, high quality, and yeah, fun luggage that you can rely on. Now, over 75 years later, American Tourister is positioned as one of the largest luggage brands in the world. 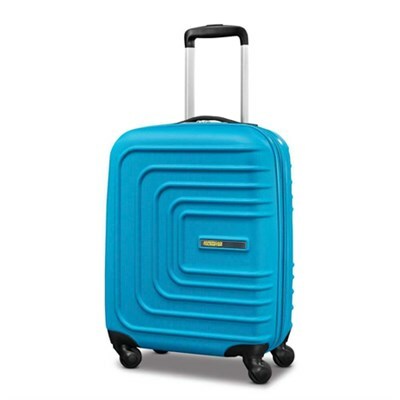 Thanks to its continued tradition of quality and design at a great value, American Tourister is the smart choice for you and your family, offering a wide selection of travel products including luggage items as well as casual, and business bags. We understand how you travel, so we're ready to go when you are with the gear that's right for you.